Since next Thursday is Thanksgiving and one of my only weeks off each year, I thought I would open this week's post with the comic book creators I am thankful for. I am thankful for the duo of Joe Hill and Gabriel Rodriguez who introduced me to the magical world of Locke and Key. I am thankful to Jeff Lemire for making me a better father by reading the complicated father/son relationships that tend to remain central in his stories. I am thankful for Brian K. Vaughan for continuing to push the boundaries and for gifting us the epic that is Saga. I am thankful for Matt Kindt and his ability to cause me to question reality and to look for hidden clues beneath the surface. There are many other creators that I am thankful for, but I feel I am starting to ramble. I will finally say that I am thankful that smaller publishers are continuing to thrive and companies like Image, Dark Horse, IDW, and many others have provide creators the freedom to create such wonderful works of art. 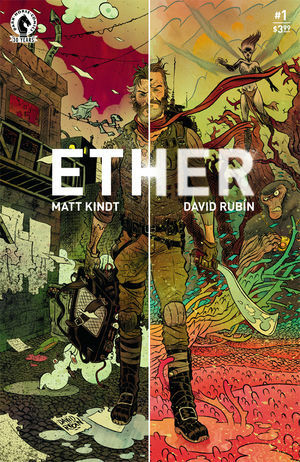 Ether #1 - It is a happy day when we have a new Matt Kindt comic and it should come as no surprise that it involves a mystery. In what appears to be a classic whodunit set in the magical world known as the Ether, I feel that there is much to unravel about our detective and some of the interesting characters that populate the magical city. Boone Dias is a scientist who has been traveling to the Ether's capital city, Agartha, in an attempt to gain a scientific understanding of knowledge. On his most recent trip, his presence is requested by the mayor who needs his help solving a murder. We learn that Dias has solved other mysteries by using the logic that is found on Earth. In classic Kindt form we are introduced to a series of interesting characters and magical objects. Among them is a bird known as the bloody screecher and a bullet that can change course mid flight. While this side of the tale is enough to capture my interest, what Kindt reveals about Dias' life on Earth is what has me intrigued. This truly is a story about two sides of a coin and it is going to be a blast learning about them both. 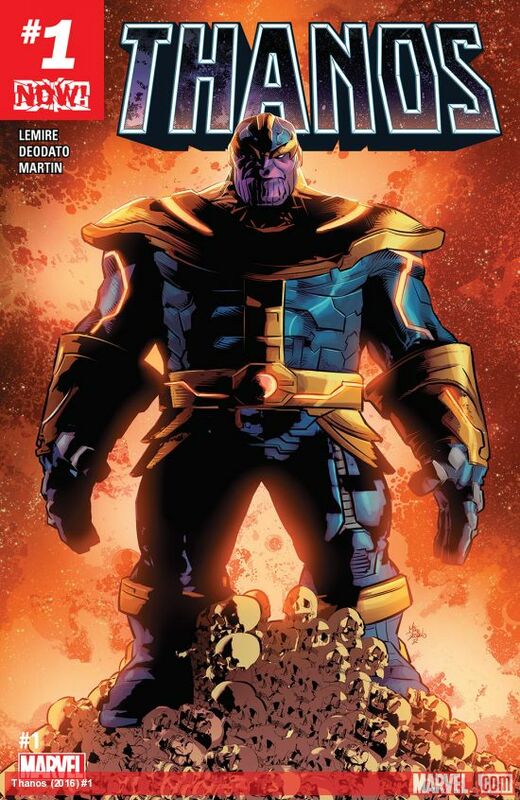 Thanos #1 - I cannot think of a better fit for a new Thanos story than having it penned by Jeff Lemire. In the Marvel Cinematic Universe, Thanos is a power hungry Titan and a force to be reckoned with. This is true in comic book form, but his past is filled with unrequited love and his familial relationships are a great fit with Lemire. Thanos has returned to the Black Quadrant to reclaim his throne and restore his order once again. His son and a couple of other Titans, teamed up with Death of course, have a plan to take it away from him. Lemire wastes no time demonstrating Thanos' power and setting the stage for a family throw down. Seems fitting with Thanksgiving only one week away. Old Man Wolverine #13 - I hope you are all feeling as happy as I am that this week's entry includes back-to-back Lemire titles. In the fitting conclusion to this series, Logan channels his time in the wastelands after he had given up everything to live a normal life. While I love seeing Wolverine break out the claws and go berserk, it is always a nice change of pace to be reminded about how much he craves a simple life. 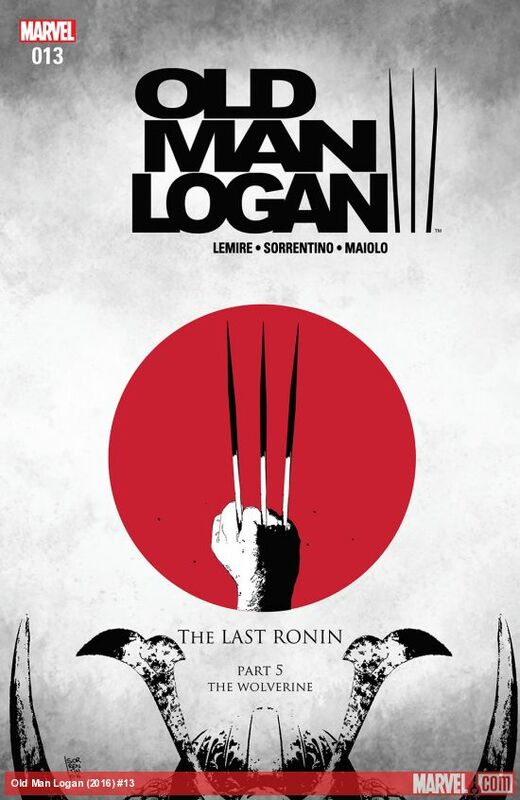 By channeling that desire and how truly caring he is, Logan is able to calm the young boy who has been leading the Silent Order in one last chance at setting things right. Despite some very intense moments, the beauty that Lemire is able to inject in this final issue is a nice way to wrap things up. Even if everything isn't fully resolved. Batman #11 - While I wasn't feeling the last issue when Batman and Catwoman were scheming to break Psycho Pirate out of Bane's prison, I must say that this issue provided a pleasant surprise. Things don't quite go according to plan and Tom King provides some nice surprises for his readers. I will say having more Catwoman is always a good thing and I am intrigued to see how the Ventriloquist will pan out in the next issue. I will admit the last issue had me fooled thinking this was a simple heist and I thoroughly enjoyed how things panned out. Looking forward to issue #12.